Today’s patients see care teams differently than they once did. In the past, patients played more of a child-like role to their physicians and nurses. However, in today’s more patient-centered market, there has been a shift to patients wanting more information and control over their own care—they want to be a member of their own care team. We all know the patients who would rather sit uncomfortably than call their nurses to help them or the patients who don’t want to ask the doctor too many questions because they are so busy. Today’s modern healthcare consumer is empowered. They want to take an active role in their own healthcare because they not only want to know what they are paying for, but they want to be part of the decision-making process. So, how can healthcare professionals help patients feel more a part of their own care teams? 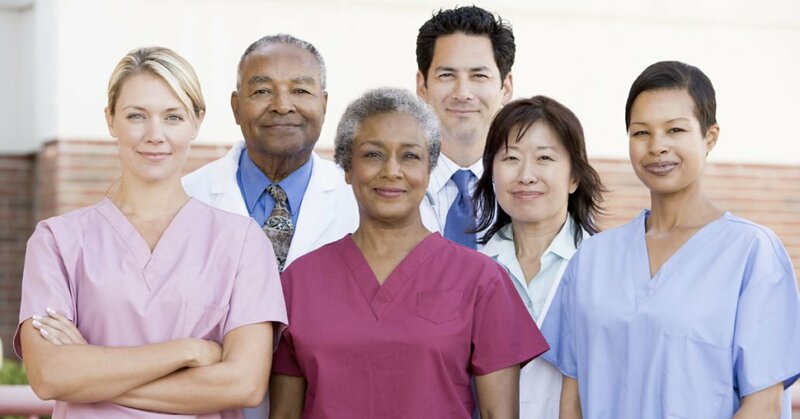 Nurses and other members of the healthcare community need to readily embrace this shift in attitude and find ways to bring the patient on board. A great way to start is with the bedside shift report. In the old days, the bedside shift report was a discussion between the off-going nurse and the oncoming nurse that took place in front of the patient—not with them. Bedside shift reporting today takes a complete approach. The goal of the report is the same, but the information comes directly from the patient—making them part of the team. 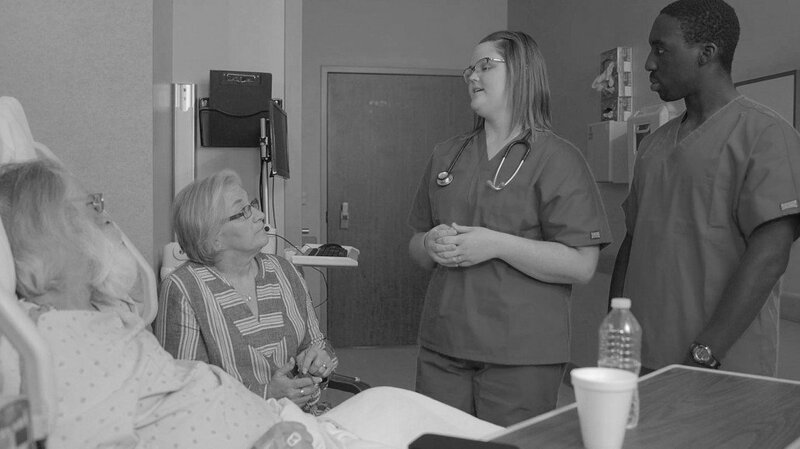 A key tactic to use here is the teach-back method, where the outgoing nurse prompts the patient to explain their care to the oncoming nurse. This puts the patient, and their family members, in the driver’s seat on issues such as pain management, treatment planning, and scheduling. When it comes down to it, the patient is ultimately in charge, so why not work with that to empower them? The final step is to involve both the patient and family members in planning their discharge to the next level of care. Discharge planning goes into effect immediately when the patient is admitted to the hospital. Nurses should prompt the patients and family members to think ahead to when they will be going home, and to begin planning what they will need to continue their care. This advanced planning gets them thinking ahead about the discharge process and how to prepare for it. They will begin constructing questions in their mind to ask prior to discharge, and it will give them plenty of time to gather the necessary information to take over their care. The parent/child dynamic that once existed between a healthcare provider and patient failed in many ways. The healthcare landscape today supports more of a peer-to-peer scenario, giving each party the respect they deserve and the information they need for better outcomes. Patients are no longer sideline observers in their own health care strategies. Today, they are members of the care team and able to take an active role in their own care. 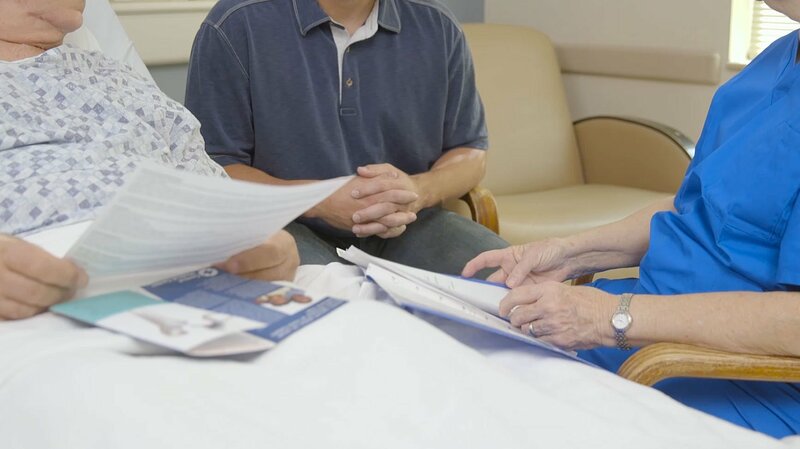 There are five questions on the HCAHPS survey dealing with the discharge home, or the transition of care, and they all center around the patient’s level of understanding of their discharge instructions and your staff’s level of understanding of patient preferences. For improved HCAHPS scores, we need to recognize a problem with the discharge process: we, as health care providers, have designed the process for us and not for our patients. The unfortunate truth is that no patient wants to be in your hospital and everyone is focused on going home. Who are they going home with? Who is their primary caregiver? Do they need extra help? These questions should be addressed right from the beginning of their stay. Every facility has a written packet of discharge instructions that includes precautions for going home and information on medications. This critical information should be presented at the beginning of a patient’s stay so that more education can take place and any questions that come up can be answered long before the patient walks out the door. It’s true that medications can change toward the end of the stay, but why not start by giving them the precautions for the surgery that we know they’ve already had? Give them information on the medications we know they’ll be going home with, and not just for them to have it, but for us to reference it. Every time staff visits the room to discuss and administer a medication, it’s a great opportunity to pull out the discharge information. Ideally, at the hour of discharge, the patient should be able to tell you about their precautions and medications rather than the other way around. Follow up with any treatments that were done and the results of those treatments. Go over any test results. Discuss any symptoms that they can look for when they go home. Go over instructions on any medications that will be taken at home. Medication Communication is a primary focus of the HCAHPS survey. This is a process (for patients and improved HCAHPS scores) that should be repeated for every patient at every discharge, but more importantly, remember to start discharge planning at admission, and keep the conversation going throughout the entire stay.